The Expolinc Brochure Stand Double is a quality literature rack with 5 impact-resistant polycarbonate pockets in a two sided, zig zag configuration and an aluminum frame. This allows your brochures to be visible and accessible from two directions. 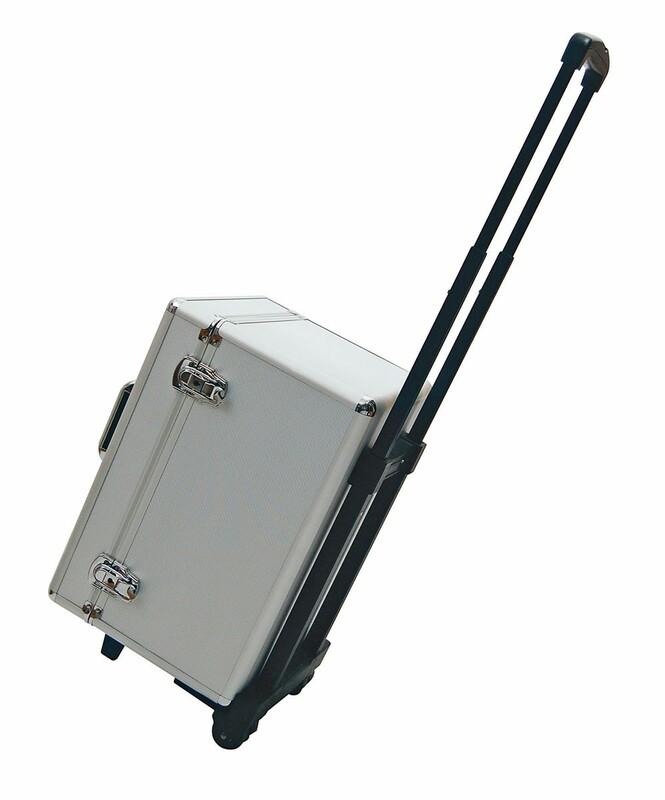 Includes a hard case with wheels and extendable handle. 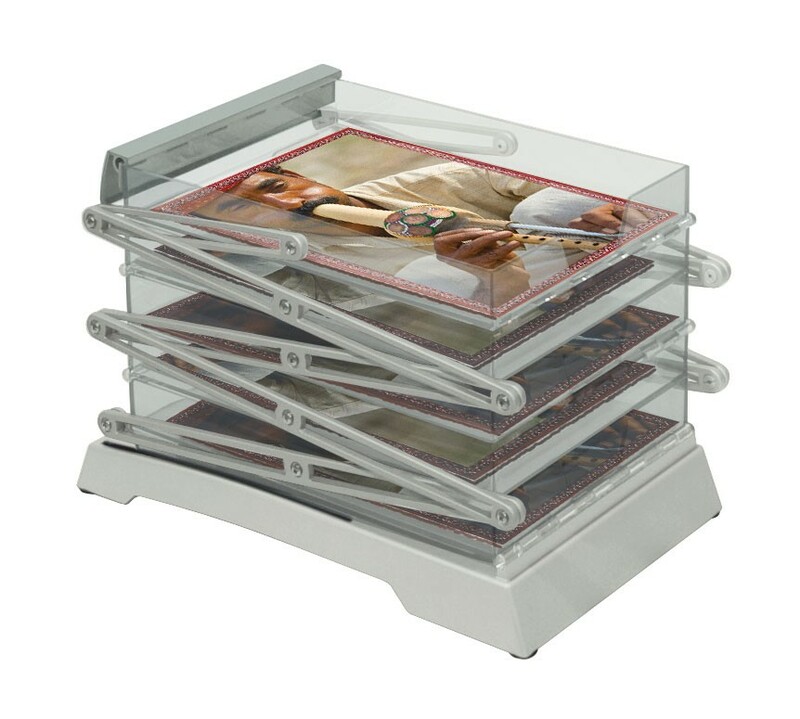 Literature racks or brochure stands are a great way to display catalogs, sales literature, product brochures, flyers or handouts in a small amount of floor space. This makes them especially useful at trade shows where floor space is often at a premium, and having literature where potential customers can get to it is important. 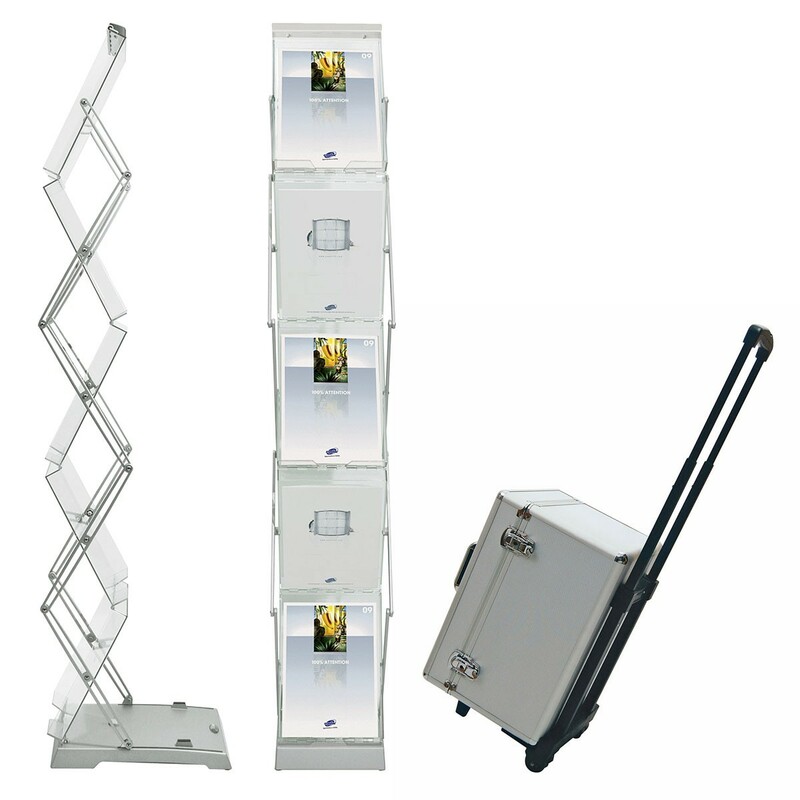 The Expolinc Brochure Stand Double is a quality literature rack with 5 impact-resistant polycarbonate pockets in a two sided, zig zag configuration and an aluminum frame. This allows your brochures to be visible and accessible from two directions. 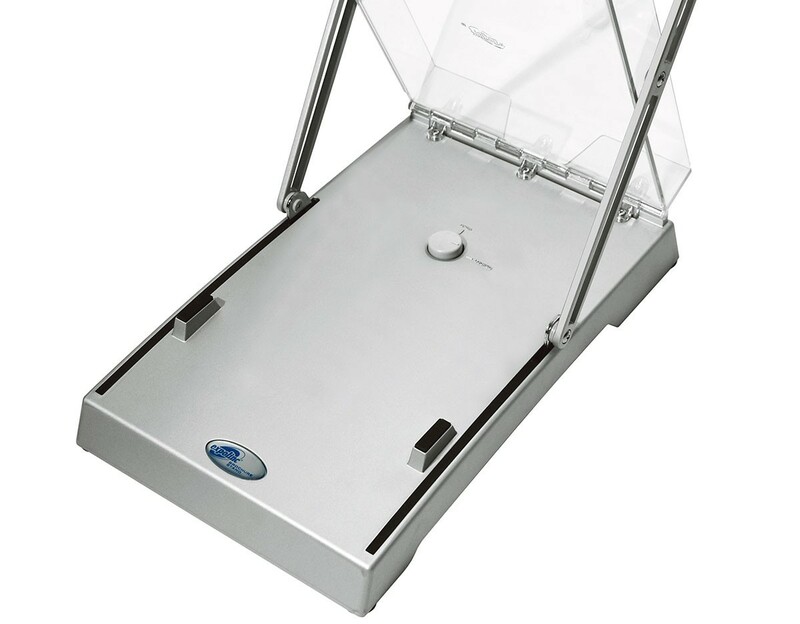 It has a sleek, modern look and is designed for quick and easy setup and maximum stability with it's folding design that allows you to keep your literature or brochures store in the stand during transport. 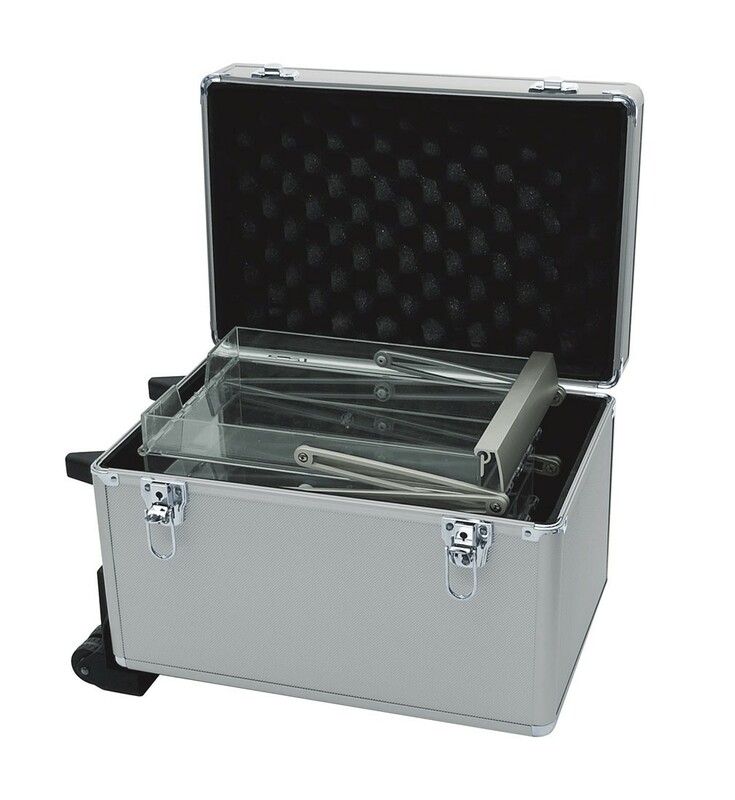 Includes a hard case with wheels and extendable handle. Also available with a padded bag with a shoulder strap and a strong carrying handle. Foot Print 11" x 16"